What is on offer to hire - Pine Rivers Rapids Baseball Club has a large and modern clubhouse for hire by anyone and any sporting organisation for training, meetings and/or social functions. We welcome regular bookings or one off events. The clubhouse is easily accessed via Baker Street at the Les Hughes Sports Complex, Francis Road Bray Park. There is ample car parking available. The air conditioned clubhouse is equipped with a large kitchen for the preparation of meals etc. We have a sizeable Bain-Marie, pie warming oven and Microwave . It must be noted we do not have an oven for cooking purposes. There are male, female and disabled toilets within the clubhouse and wheelchair and disabled ramps for ease of access. Our clubhouse has a liquor licence until 10.00pm for the consumption of alcoholic beverages on the premises - No takeaway sales are permitted. The clubhouse will easily seat 80 guests or 140 guests if you prefer a standup type of affair. There is also a large video projection screen for special event or training purposes. A Special Note: All members of the Pine Rivers Rapids Baseball Club has use of this facility free of charge for their private functions. To hire the Rapids Clubhouse, please contact our Vice President, James Royce, on the above number (or vp@rapidsbaseball.com.au) to discuss your specific individual needs. Prices are set accordingly, however a $500.00 security deposit is required by all who hire our facility. Please refer to our clubhouse hire forms for further details. 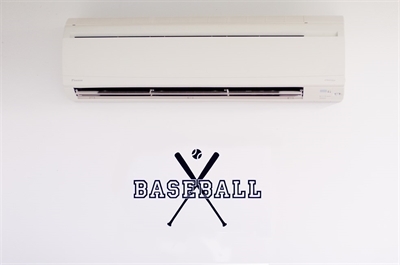 Pine Rivers Rapids Baseball Club is now fully air conditioned! 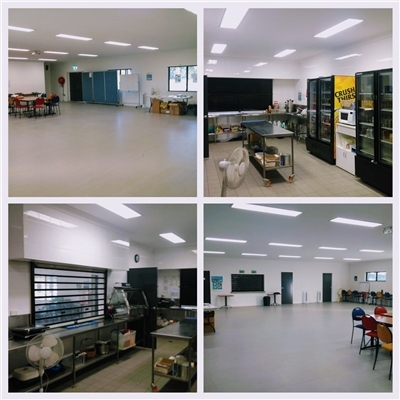 With the support of the Moreton Bay Regional Council through the Community Grants Program, we have been able to install air conditioning throughout the clubhouse and in the canteen. Our large and modern clubhouse is now going to be comfortable to use all year round. We wish to thank the Moreton Bay Regional Council for their ongoing support of our club and our sport in this region. We are actively seeking community groups, businesses or individuals who need a space for meetings, training workshops or events to consider hiring our venue. We offer a great space at a reasonable cost. The good news for Rapids members is that it is FREE to use for your private functions. Please contact James Royce on 0434 250 552 if you would like to make a booking.